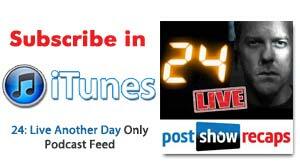 LIVE at 10:15 pm ET / 7:15 pm PT on Monday, June 2nd, Rob Cesternino and Josh Wigler review 24 Live Another Day, Episode 6. Join us LIVE after the show to ask your questions about tonight’s show. Who was on the other end of the phone call that Steve Navarro had at the end of the episode? Is Steve Navarro working with Margot Al-Harazi? Just how bad has President Heller’s condition gotten over the last few hours? Are the British Intelligence officers being jerks or are they just doing their job? Should the Al-Harazi kids be involved in the family business? With hindsight being 20/20, was it the right call to send out Simone to talk with Navid’s sister? How badly did Mark Boudreau play it with Audrey tonight? What is going to happen when Mark Boudreau meets with the Russians? How will this turn out bad for Jack Bauer? Is it possible that Jordan Reed is also a mole? What actually went down in Rask’s organization? Who is Nils? Was Nils actually an informant for the CIA? Is Nils dead? Where did Jack get the $200,000 that was in the bank account? What was in the bucket that they dumped on Kate Morgan when she was being tortured? Was it gasoline or something worse? How awesome was Kate Morgan at killing those guys after she escaped the torture? What will happen to Belichek? Is Jack going to get blamed for the casualties taken by the British intelligence agency? Is everybody in Navid’s family just a glutton for punishment? Will Simone survive getting hit by a bus? What happens next for Jack Bauer now that we’ve reached the halfway point? Will another villain emerge before the end of the season? 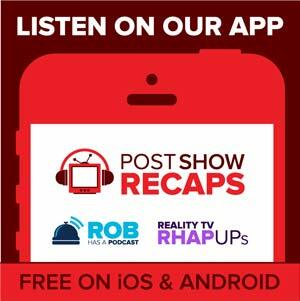 Join us for a fun filled chat about the latest episode of the show and come back LIVE next Monday night at 10:15 pm ET for the next edition of 24 LIVE.